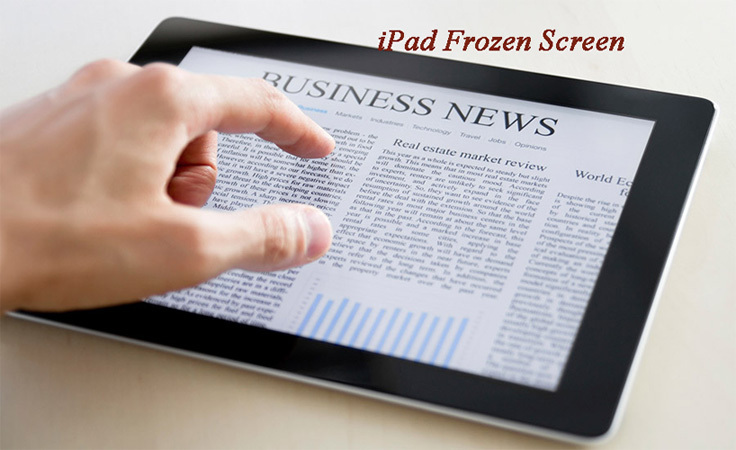 Have you heard about iPad DFU mode? Well, Apple has provided the ability to each of its gadgets to enter into the DFU mode. DFU (Device Firmware Update) mode is something that you can put your iPod, iPhone, or iPad into where it can communicate with iTunes but does not load the boot loader or operating system. But sometimes, users face the issue of iPad stuck in DFU mode. Are you one of them? If yes, then we have brought some solutions that can be very useful is your iPad stuck in DFU mode during update. If your iPad stuck in DFU mode and won't restore, then force restarting the iPad might get you out of this situation. All you need to do is follow the given below steps. 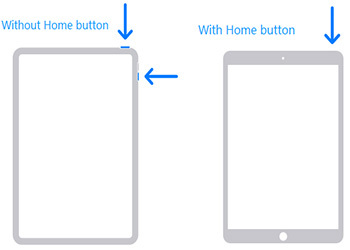 Before we begun, keep in mind that the two buttons on iPad (namely the Home button and the Sleep button) are of most importance in this process. Step 1: Hold the Sleep button and the Home button. Step 2: Now press both the buttons at the same time for almost 8–10 seconds. Step 3: After some time, the screen will go off. Keep holding the combination till the screen goes off. After some time, the screen will switch on with the Apple logo on it. If you see the Apple logo then you have successfully force restarted the device, thereby solving the "iPad 2 stuck in DFU mode" issue. 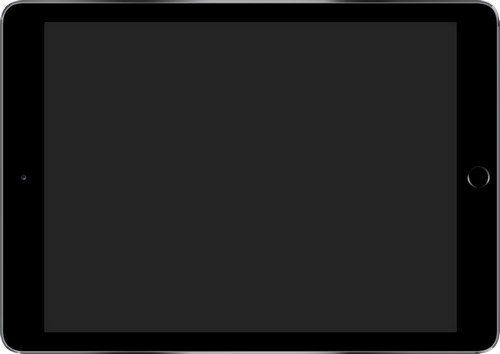 If performing a force restart did not help you solve "iPad stuck in DFU mode black screen" issue, then you can move on to using this method. Before we move on to explain the steps, make sure you have the latest version of iTunes on your PC. Now, follow the given below steps if your iPad Mini stuck in DFU mode. Step 1: Launch the latest version of iTunes on your PC. Step 2: Now, link your iPad to the computer using a USB cable. Step 3: While your iPad is stuck in the DFU mode, all you need to do is press and hold the Home button and Sleep button for at least 10 seconds. Step 4: Select the Restore options on your computer. Wait till the process is done. Restart your iPad. When none of the above solutions works, do not panic. There is always a solution for every problem. And in this case, it is Tenorshare ReiBoot. This software offers one click solution to each and every issue that your iPad has, such as iPad DFU mode, iPad won't turn on, iPad recovery mode, Apple logo loop and more. In addition, this tool is effective in solving all iPad problems. Here are the steps that you need to follow if your face this issue. Step 1: Install and launch the Tenorshare ReiBoot software on your computer. As soon as you have downloaded the software, connect your device to the computer using a USB cable. Click on "Repair Operating System" alternative. Step 2: Your iPad will show the below screen since it has problem. Select "Start Repair" option as per your current version of iOS to get into the firmware download screen. Step 3: Get the firmware package online. The software will show the related firmware package for your device. It will show the latest firmware package for the latest iOS that your device is operating on. Therefore your device will be updated with the latest version of the iOS after the process ends. Click on "Download" to start the installation of the package if you do not have it on the PC. Step 4: Begin the procedure of fixing the problem that your device is facing. Soon after the package is downloaded completely, select "Start Repair" to start the recovery of your device. The procedure may take almost 10 minutes. Cutting to the chase, you just had a look on the top 3 ways to known how to fix iPad stuck in DFU mode loop after update. You can always force restart the iPad if you are struck in the DFU mode. In addition to this, you can also use iTunes to take your iPad out of DFU mode. But, in case the above two methods fail, then you can always look up on Tenorshare ReiBoot. The software will solve your issues with a single click and will also upgrade the iOS to the latest version. Do not forget to comment your feedback below.